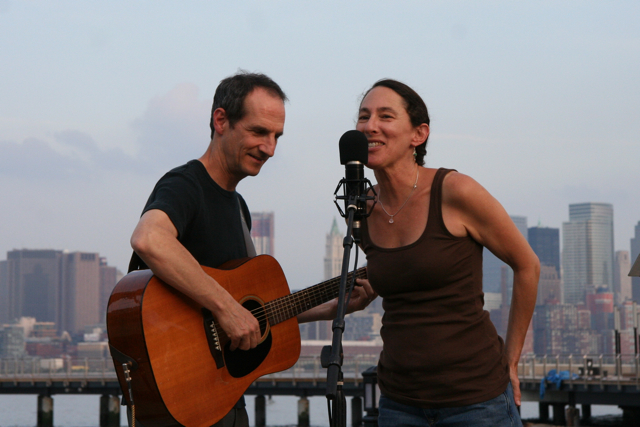 Deena Shoskes with Cucumbers partner Jon Fried, 2011 . Alas, as timing would have it, you will have to miss one of them, but both are worthy of your attention. Though the Cucumbers never got quite as much attention as the Bongos, the Feelies, or the dB’s during the “Hoboken is the new Liverpool” power-pop explosion of the early ’80s, Deena Shoskes and Jon Fried gave us one indelible pop classic (“My Boyfriend”) and innumerable inspired shows back in the day. And Shoskes still has a surplus of homespun charm, sharp and witty lyrical skills, or a bounty of memorable melodies on her recently-released second album Rock River, available now from CDBaby, iTunes, and Spotify, per her Web site. The singer and songwriter displays a bit more alt-country twang on songs such as “Bring It All,” a wizened maturity on others like “Comes With Kisses,” and a familiar goofy sense of humor on others still, notably “My Friend Superman” (“My friend Superman/Says his wife just doesn’t understand/Why he missed the Sunday dinner with her folks/He was too tired to laugh at the old man’s jokes/And besides, her mother smokes/He says, ‘I can survive a nuclear blast/But do you know how long those dinners last?’”). But she’s lost none of her youthful enthusiasm and infectious exuberance of the Cucumbers era, and we’d all still love to be her boyfriend. Shoskes performs at 8:40 on Wednesday at Uncommon Ground, with Ray McKenzie and Jen and Eddy joining her on the bill. More info here. 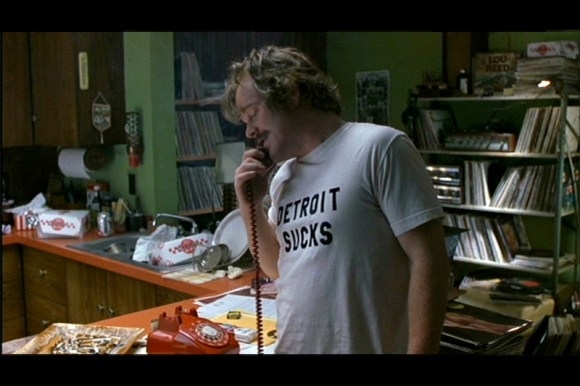 Also on tap for a mid-week bump: Sound Opinions at the Movies screens Almost Famous, one of the best (primarily because it’s the only) films ever made about a rock journalist/critic, as well as a movie that’s always meant a heck of a lot to me, even before the untimely death last February of Philip Seymour Hoffman, who steals the film with a memorable turn as Lester Bangs. Tickets are going fast; get yours here.